Breña, Connecticut, Havana, Santo Domingo, Brazil, Nicaragua or Indonesia are names of cities and countries but also different kinds of tobacco. Each of these places has unique weather conditions and crop systems which influence the personality of the tobacco which grows in these lands. In fact, the plants employed by KOLUMBUS in the filler of its cigars grow in the region of Breña Alta, in the east end of the island of La Palma. All these places have a common denominator which is the rigorous quality control processes plants and seeds are subjected to. The seeds are planted in October in plain or semi plain terrains. After a series of processes which include the transplantation of the incipient plants to the areas where they will finally grow, the crop will be ready to be harvest in February, when the leaves have reached the top of their maturity stage. The next step will be to select and store the leaves in layers. Selecting the right raw materials is crucial as each one of the leaves used in the subsequent elaboration of the cigars is allocated to either the wrapper, the filler or the binder according to its physical characteristics. These are the three main parts which form the cigar and is the combination of all of them that will create the aroma and flavour which will define its character. 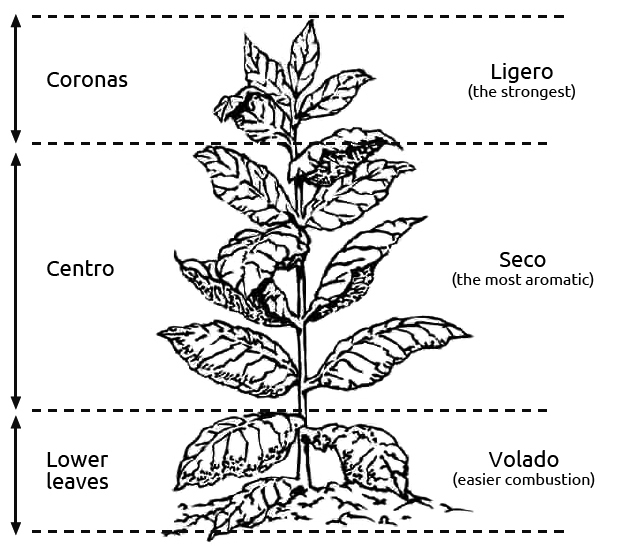 Leaves obtain certain attributes depending on their position in the plant, as well as a higher or lower volume of nicotine. Those located in the lower end are harder, while the ones in the centre are used for higher quality cigars as they combine the perfect size and the right amount of strength and flavour. 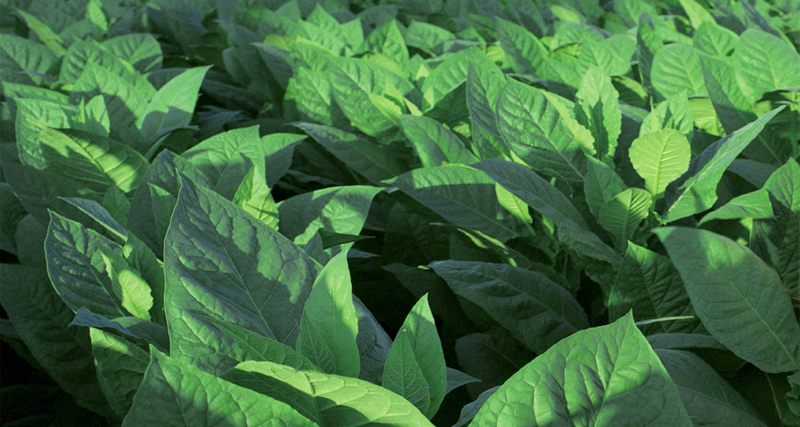 Finally, the leaves situated in the highest point of the plant are used for stronger tobaccos due to their bigger size. After concluding with this selection, they need to be prepared for the drying process. The leaves are stitched in pairs which are then hang using slender flexible rods made of wood called cujes. The stem of the leaf must be kept intact, so they are attached between two voluminous bars located on top of horizontal beams where they rest until they are completely dry. These cujes have to be of the highest quality to reach the perfect level of dryness. Approximately two months later, the tobacco will be ready for the next two stages prior the elaboration of the cigars: fermentation and aging.